I am currently working on an order, so am busy at my wheel. It’s my first order, so there is much excitement along with a little nervousness. 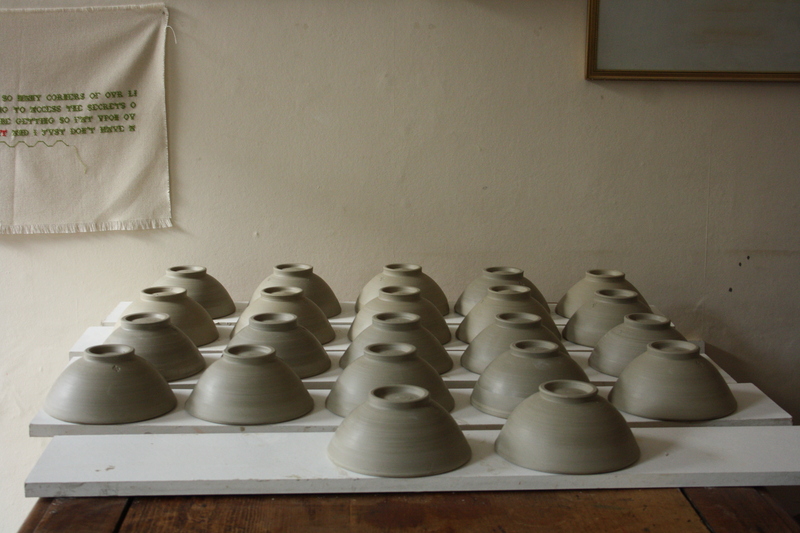 I do love the process of repetition when throwing. I have been re-reading Soetsu Yanagi’s ‘The Unknown Craftsman’ and I thoroughly recommend it whether you make things or not. It is a book about beauty and a book about a way of life. Yanagi founded the Japanese Folkcraft Museum and believed that the path to beauty lay in the folkcrafts, ‘unselfconsciously handmade and unsigned for the people by the people, cheaply and in quantity’. There is a fascinating essay at the back of the book where he ‘interviews’ himself on the subjects of folkcrafts vs artist craftsmen and folkcrafts vs industrial capitalism – e.g. “Q. Which contain greater beauty, folkcrafts or artist crafts? A. 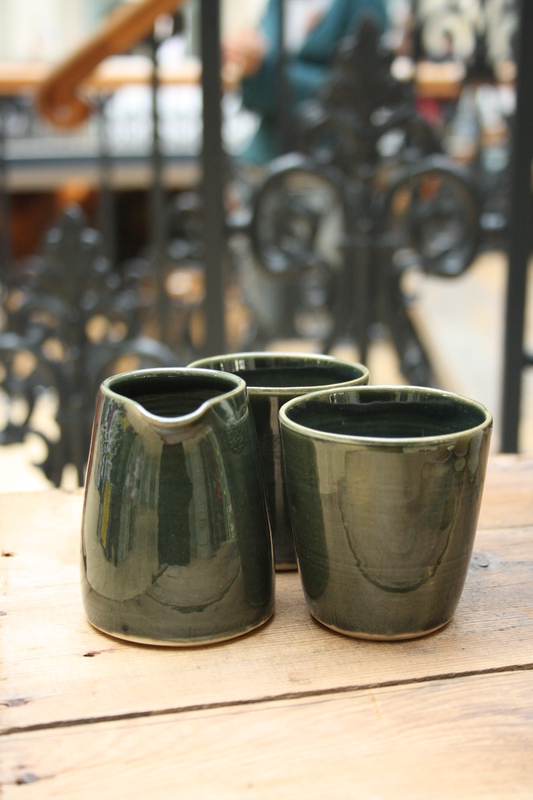 …The works of artist craftsmen are not primarily intended to be just good pots so much as to display the fine sensibility or strength of personality of the maker – the flavour of himself rather than the flavour of mankind, which crafts exude”. 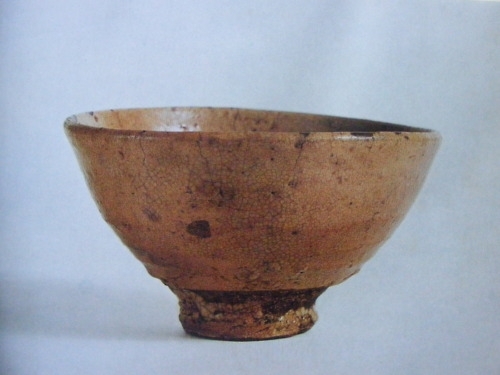 According to Yanagi, this Tea-bowl is considered to be the finest in the world. It is called the Kizaemon Tea-bowl and there is a short chapter in his book devoted to why it is believed to be the most beautiful. This bowl had been prized for centuries passing between hands at great cost and was said to contain the ‘essence of tea’. Yet when Yanagi first saw it his ‘heart sank’; it was so ordinary, a common food bowl that a poor man would use everyday. And it is in this commonness, Yanagi goes on to explain, in this humility, innocence and modesty that its beauty it revealed. It’s safe to say that I was a little nervous going into Reetsweet’s Valentine’s Fair on Saturday. As it was the first event of the year, it was good to blow away some cobwebs. 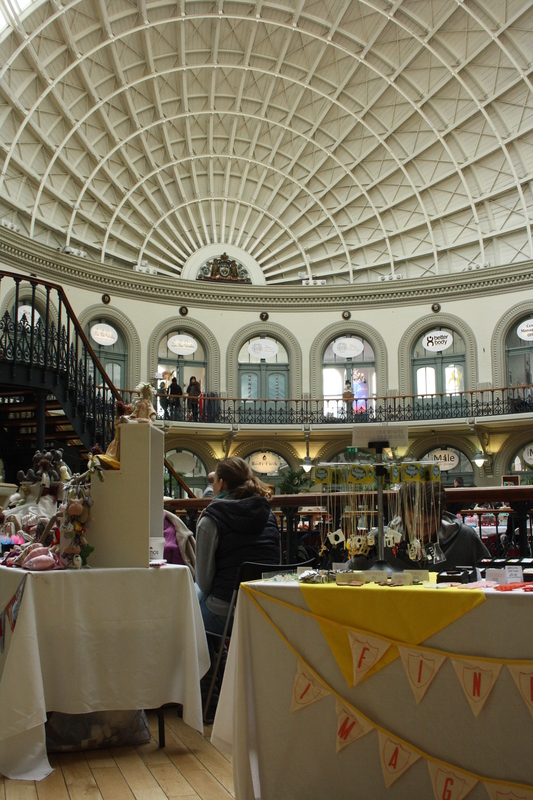 The Corn Exchange, in Leeds, is a stunning venue and a fabulous setting for a craft fair. 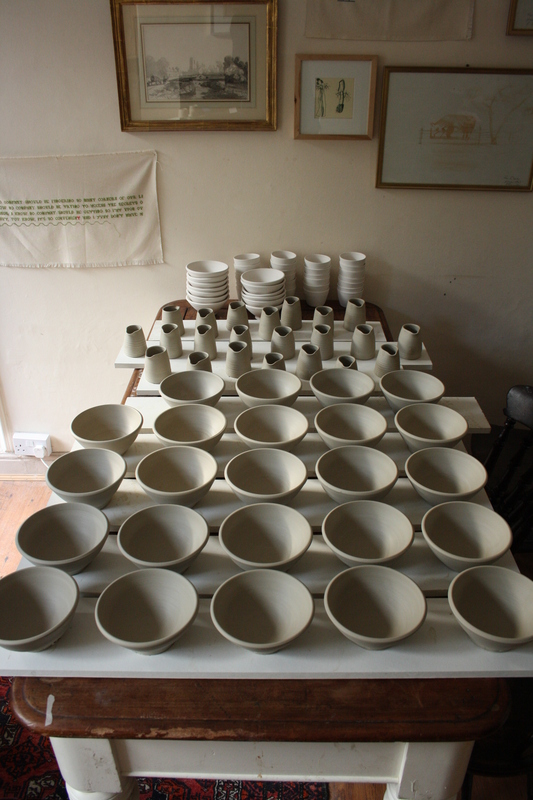 Sales are important, obviously, but on Saturday it was the conversations I had with the visitors and watching the way they engaged with my pots, which was more valuable. 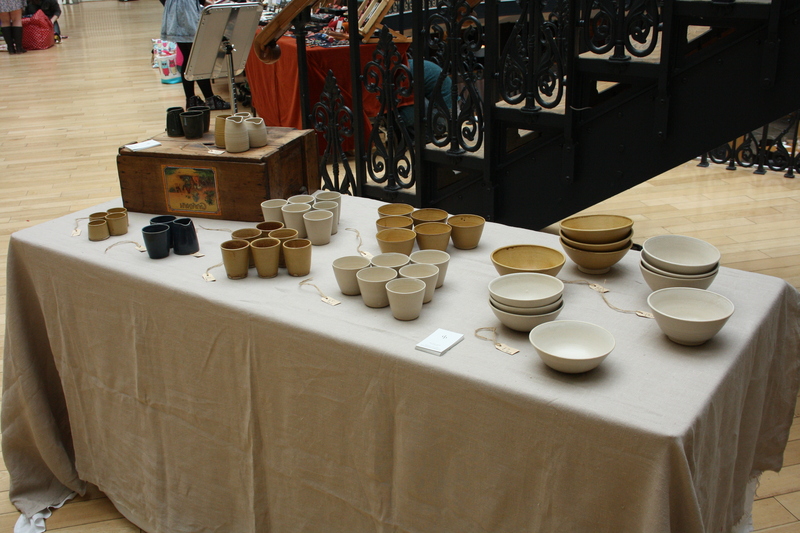 I’m not sure that people have very much experience of simple, functional handmade pottery, so I enjoyed the delight people had in touching, stroking, handling the pots. I am convinced that the world is experienced essentially through the fingertips. It was the matte glazes that most drew the attention – I’m not sure that ‘gloss’ exists in the natural world, except after the rain has fallen. Thank you to Zinc White for being such good company. 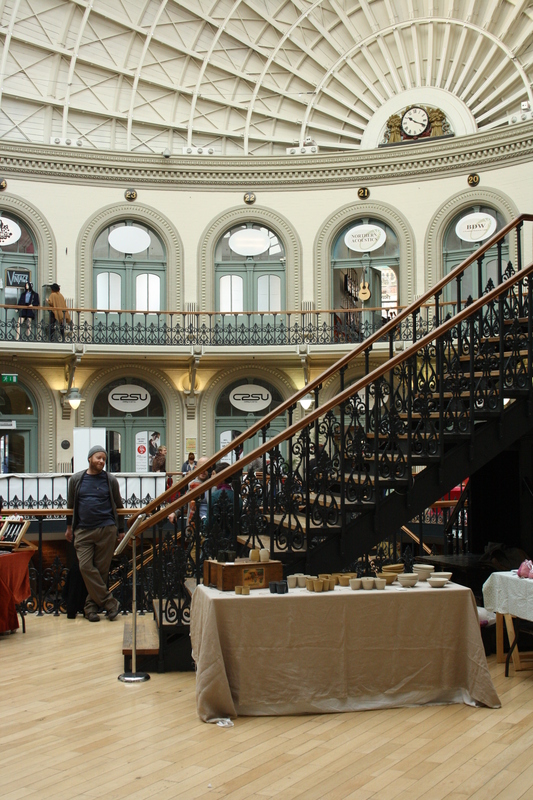 If you find yourself anywhere near Leeds Corn Exchange on Saturday (this Saturday, 11th February), please come and say hello. 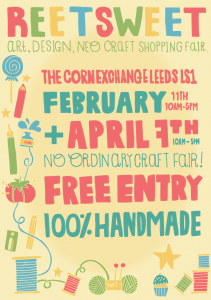 I’ll be taking part in Reetsweet’s Valentine’s Fair. On the right, under ‘Quotes’, I’ve added one from Richard Sennett, part of the conversation he was having with David Gauntlett on Radio 4’s fantastic ‘Thinking Aloud’. I found a link to the programme on Bridget Harvey‘s blog. Here it is. The programme was broadcast on the 2nd May, last year, but it is still available to listen – and well worth it. The contrast is between David Gauntlett’s idea of craft being, essentially, a lot of fun and Sennett’s view of it as being rewarding but very hard work. You are currently viewing the archives for February, 2012 at The Hopeful Potter.